New and worrying accident, classified at "level 1" by the japanese authorities, into the atomic station of Fukushima: 300 tons of highly contaminated water came out from a cooling tank. 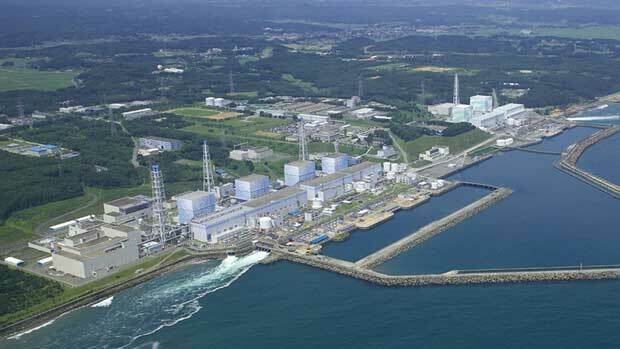 The Company Tepco denies the shedding into the ocean, but the South Korean government asks for explanations. The radioactive water is in fact come out from one of 26 tanks nearby the reactor nr. 4 ( the tank contained 1000 tons of water utilized to cool the damaged reactors ): The cause of the leak has not yet known, it could be arised by a valve near a drain channel. The radioactive values are really worrying: the beta radiation emitted by the liquid reached 80 millions of "becquerel" per liter, while the radioactivity sized at about half meter over the liquid pool reached 100 "millisievert" per hour, this levels don't allows to the operators to approach the trouble site. The japanese authorities classified this last escape of radioactive water as " accident of level 1 ". Moreover the Company Tepco admitted that the water could have polluted even the surrounding ground. Tepco also admitted, for the first time, to have underestimated the "tsunami" risk in Fukushima atomic station and that the protection and safety systems were not enough to warrant a good security level, they did not put under convenient standard the plant because they were afraid the station could be stopped till the completion of the works or this modernization could create antinuclear polemics. According to Tepco, in any case the earthquake violence (m.8.9 ) and subsequent "tsunami" had been out of every imaginable expectation. Endless minutes: The inhabitants nearby San Marco, town in Guerrero State, Mexico, have been frightened by two strong and long earthquake shakes. At the time it seems there are no victims. Further update news are expected. With "All Aboard - Destination Musical! ", the Lifeline Dolomites association is collecting funds to support women affected by cancer in Africa. From Texas one sos saves a New Zealand injured women. Incredible round world of one sos launched by a New Zealand lady hiker got injured on Belluno (Italy ) mountains. The message has been received in Texas (USA) and then thrown again to the Italian Coast Guard and by the sent to the Aviation Operative Headquarter of Poggio Renatico Ferrara(Italy) that finally has alerted the alpine aid of the Dolomites in Belluno and 118 of Pieve di Cadore (Italy).